his property is a 7-minute walk from the beach. 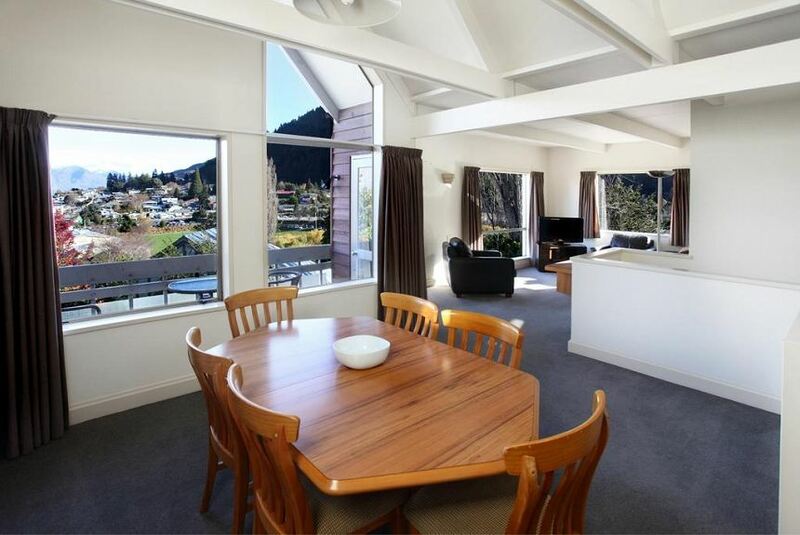 Just a 2-minute walk from the heart of Queenstown, these apartments include free WiFI, satellite TV and cooking facilities. Turner Heights Townhouses are 5 minutes’ walk from the shores of Lake Wakatipu and Queenstown Bay. It is a 10-minute walk from the Skyline Gondola. The Coronet Peak Ski Fields are 20 minutes' drive away. Guest facilities at Turner Heights Townhouses Queenstown include a spa pool, a BBQ area and free on-site covered car parking. Each apartment has a flat-screen TV and a DVD player. Heating is provided and most have a private bathroom with shower over the bathtub. Guests have access to laundry facilities.